The weather is just fine for working on entries for the New England Needlework Contests. Again this year our first place winning entries at the State Level will advance to the New England finals at the Big E in September. 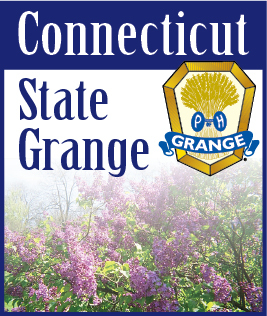 The New England Needlework Contest is open to all Grange Members and non-members. One entry per class. Most rules have remained the same but must be followed exactly. Any brand of yarn or thread may be used. Entries must have been completed within the contest year (August 2006 through July 2007) and all work done by the contestant. Each entry must have an Official Entry Form placed in a plastic bag and pinned to the item with a safety pin. The following are the classes you may enter: A- Afghans- any size; B- Doilies - Knitted, crocheted or tatted; C - Embroidery - back of work visible; D- Three Piece Baby Set - no baby afghans; E- Plastic Canvas - any item; F- Counted Cross Stitch- Pictures may be on stretcher strips or framed, but no glass - back of work visible; G- Adult Garment - must be for an adult, knitted or crocheted; H: Latch Hook- any item, any pattern; I- Quilted Wall Hanging- hand or machine quilted. Must have dowel or other method for hanging. We will hang the winning entries from the balcony in the New England Grange Building at the Big E. J- Stuffed Toy- may be knitted, crocheted, stitched, etc. and stuffed with any product... fiber fill. All entries will be returned to you. We are still collecting toys for "loving" and these will be distributed throughout the state. If there is only one entry in a class, it will automatically be sent to the next level of judging. Judging at the state level will be held at Good Will Grange Hall in Glastonbury on August 25 at 10 A.M.
For more information and Entry Forms see your Subordinate or Pomona CWA Chairmen. To keep these contests active and interesting we need entries, so let us all get busy with those needles.